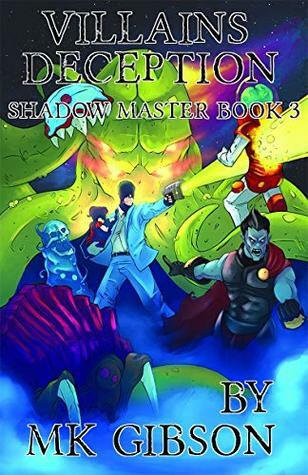 Villains Deception is book 3 in The Shadow Master series. This series is a highly entertaining read that will crack you up. I strongly recommend the audiobook format on these, since the narrator is amazing and brings the story to life. That being said, I'd suggest you read the two prior books before diving into this installment or you'll miss out on some important back story that leads up to this novel. Jackson Blackwell aka the Shadow Master is back and this time around he's in the sci-fi dimension. While in the dimension working, Jackson's daughter Evie is kidnapped and Jackson's main priority is to get her back. He'll do whatever it takes to get his daughter and if that means using his god-like powers and chasing through different dimensions so be it. Jackson and his crew are on the case and it seems he's wracked up a number of enemies during his life. Full of twists and turns you won't see coming this installment is a hilarious addition to the series. If you're looking for a Fantasy series with a ton of humor mixed in, you need to pick these books up.